This may be my favorite tiki bar I've ever been to. 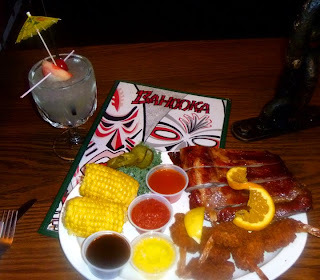 Yes, the Mai Kai is grand, and perhaps holds an edge thanks to the gardens. 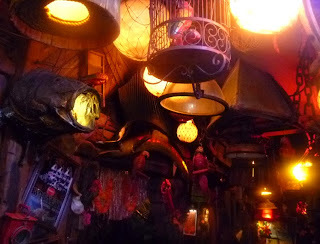 But inside Bahooka Ribs & Grog has the dark, ramshackle, non-corporate vibe that I love in a tiki bar. 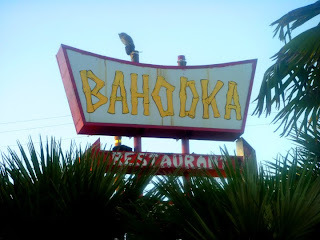 The food is fairly plain and the drinks do not compete with the best tiki joints (though they are better than average), but the fact that there is nothing fancy about their food somehow makes it all the more likable. 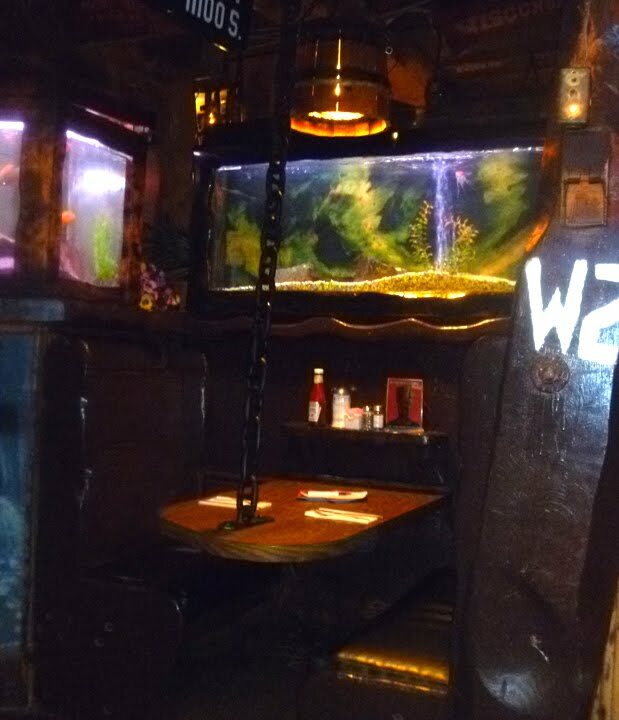 Then, of course, there are the aquariums (over 100 of them) and the alluring feeling of being lost in the labyrinth hold of a sunken ship. Each booth is surrounded by fish and seafaring paraphernalia, dark and woody with the tables hanging by a large iron chain. 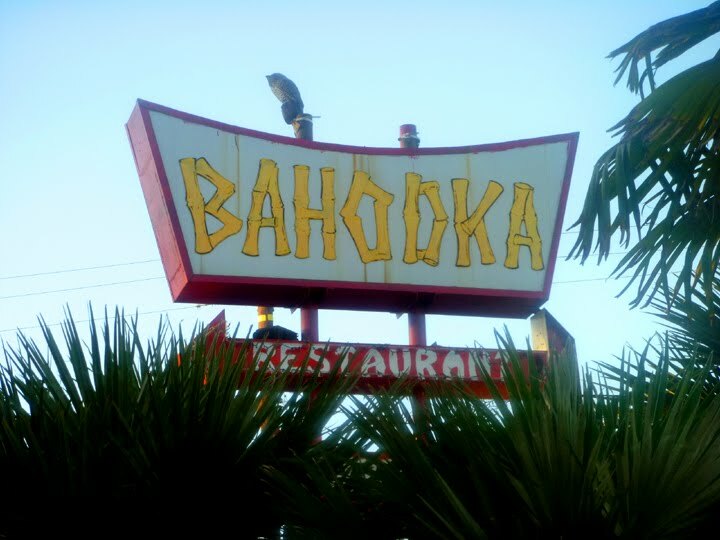 It is out of the way enough to have a shack ("bahooka") feel to it from the outside, and the small bar, where a turtle paddles under your drinks, preserves the vibe of an old neighborhood joint.